Humberto is the first hurricane of the Atlantic Hurricane Season. It formed off the coast of Africa yesterday. CNN filed a report. If Humberto had formed a few hours later it would have set a record as the latest first hurricane in Atlantic Hurricane reported history, whatever that means. After all a mere 100 years ago we didn’t even name storms. 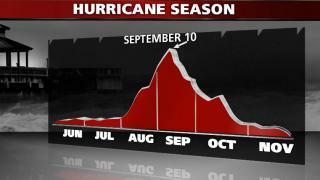 The Atlantic season runs from June through November each year and peaks on September 10th. In a normal year we would have had 3 named hurricanes by now. Humberto formed off the coast of Africa. Had it formed 50 years ago we might have missed it. It is a relatively small storm that will likely not last very long and will probably never threaten land. It might not have been counted at all just 50 years ago. 2005 was a really bad year for hurricanes, particularly if you lived in Florida or in New Orleans and points East when Hurricane Katrina hit the gulf coast. Al Gore used the Katrina event as proof of global warming gloom and doom in his 2006 film, An Inconvenient Truth. He went on and on and on. Every year since Al published his docudrama, hurricanes have been less severe than 2005. We have now had seven and one half years of relatively mild hurricanes since the record setting season of 2005. Why is it that bad hurricane years are equated to proof that global warming is serious and imminent while mild seasons prove nothing? Hmmm. One bad season, seven going on eight good ones. Maybe Mr. Gore was wrong? Time will tell. I’ve spent the last few blogs trashing electric vehicles in Hawaii. I’ve been too harsh. I now think I’d consider an electric vehicle if I lived in Honolulu. What prompted this change of heart? A trip to Panda Express in Kapolei. Yep, Panda Express. There it was, mounted on the sidewalk, near the front door, where the handicap parking usually resides, my mind changer…..a free electric car charging station. Call me stupid…. it hadn’t occurred to me when I was doing the math on electric car costs that the state would give electricity away. They are here, there, everywhere. Free electricity dispensers. Hawaii is giving away energy ….and who am I to look a gift horse in the mouth. Yes, you heard right, the state with the highest electric rates in the country is giving the stuff away as a way to encourage electric car use. Both the feds and Hawaii pay you to buy an electric car, and Hawaii pays your fuel costs too. Wow. I could park my car there at Panda express on my way home from work, wander around the area getting exercise, maybe pick up some grinds….and eventually go home after scoring a few dollars worth of free fuel. Suppose I worked at Schwab (or somewhere else that provides free energy) in downtown Honolulu, I could score free energy all day while I was at work. If I played it just right I’d never pay for fuel again. Yeah, I know it’s stupid to give away energy especially in a state that uses oil to make electricity….but Governments do stupid things all the time, so I might as well cash in. Suppose, just suppose, I’d combined my electric car with a huge solar project at my home (last year before the 35% solar credit ran out). People who can afford the first costs (it’s still expensive with a $10,000 subsidy) did just that. The installation makes much more electricity than the house can use….and the excess is sent onto the electric grid. The Solar customer then uses utility power in the evening and gets credit for the surplus provided earlier in the day. The Utility is on the hook. Hawaiian Electric gets power when it doesn’t need it and gets to give it back when it’s difficult for the utility to provide the power. Who pays for the excess deliver-ability….everybody else. And if this electric car thing takes off, peaking load will get worse as people plug their cars in when they get home from work, during the evening peak. Hawaii politics in action…and the Electric Utility is right in there promoting the projects. All the while the peak gets harder to meet and there are no new peaking plants being constructed, on a island….can you say blackout. Hawaii is one of my favorite places. I love the local customs, the racially diverse society, the local food, and the weather is the best in the world. Sometimes, though, the local politics drives me a bit crazy. Hawaii is gaga over electric vehicles. They have something called The Honolulu Clean Cities Coalition (HCC), a non profit organization dedicated to reducing petroleum use in the transportation sector in Hawaii by advocating electric cars. Oh, yes….it’s funded by the feds. Here’s the problem. Electric cars in Hawaii run on oil. This makes them both expensive to purchase and expensive to operate. And they have those nasty difficult to dispose of batteries. Hawaii gets most of its electricity by burning oil. Electric cars are only clean and environmentally friendly if their electrical source is clean and environmentally preferred. The state is spending millions in federal, state and local subsidies to burn oil to make electricity to put into an auto…when they could skip the middle man and simply buy a gasoline vehicle. There are federal and local subsidies here, there, and everywhere. Without the subsidies, Hawaii would not have the program they have….and the citizens of the state would be better off. They would have lower taxes and a cleaner environment. Most electricity in Honolulu is produced by either oil or coal. Even the natural gas used in the state is a manufactured process that starts out as oil. There is a small amount of wind, a still under construction bio-fuels plant, and a rapidly growing Solar power generation program complete with Federal and State subsidies. 2012 was a banner year for Solar power in Honolulu. The state subsidy (35%) went away on December 31, 2012 and people rushed to cash in. The state revenue commissioner is not pleased. He’s having trouble finding funds to offset the loss in tax revenue that Hawaii’s 35% credit caused. Hawaiian Electric has special rates for electric vehicles. If you pay $1.50 a month, you can get a sophisticated meter that allows you to pay rates based upon time of day. The rates encourage people to charge their cars at night which causes more oil to be burned because the main green alternative, Solar, is not available. Honolulu’s typical rate is right around $.40 cents per kilowatt hour. You could be paying as little as $.34 or as much as $.45. The National average is a bit less than $.12. The rate applies to all electricity used in the house, so it is really important not to use much juice in the evening. The rate is a few cents higher on the other islands. Let’s start by being optimistic…we’ll use 35 cents per kilowatt hour as a base price. Next we add 20% or 7 cents per kilowatt hour to cover the losses in the charging and battery system. In my last post I calculated a cost of 7.2 cents for the 220 V charging system, but I think I was a bit high, so we’ll just add 5 cents here. That makes the cost of electricity in the vehicle 47 cents per kilowatt hour. Now we must make an assumption on the cost of gasoline. Yesterday I bought gasoline at a Costco in Honolulu for $3.999 per gallon. If we pay 47 cents per kilowatt hour, how many miles would we have to go to spend $4.00 on fuel? The EPA says the Leaf will go 2.94 miles per kilowatt. At 47 cents per kilowatt that equals 47/2.94 or 15.99 cents per mile or 4.0/.1599 or 25 miles per gallon equivalent. If I happen to fill up at a peak time I use 45*1.2+5 or 59 cents per kilowatt hour. That math looks like this 59/2.94 or 20.06 cents per mile or 4/.201 or 19.9 miles per gallon equivalent. Most economy cars on the road in Hawaii do better than that. The Nissan Altima I am driving is averaging a about 2o.5 miles per gallon. When an electric car uses oil based electricity it pollutes more than a modern efficient gasoline vehicle. Hawaii would be better off dumping the entire Electric car program. Gasoline cars are cheaper, cleaner burning and they don’t have those nasty Lithium Ion Battery packs. Switching to electric vehicles will use substantially less oil at lower cost to reach the same level of mobility, even if oil is used in the production of electricity. Come on guys, tell the truth…we can take it. Last weekend I noticed something that I had missed literally for years. 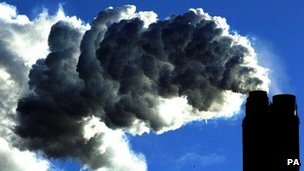 Just about any story that discusses carbon dioxide and global warming includes a smokestack photo. The photo shows visible air pollution….the unsaid message, visible air pollution and carbon dioxide are one and the same. WRONG. Carbon dioxide is colorless. The articles are about carbon dioxide, but the photos are showing air pollution. If the stack just had carbon dioxide coming out of it, there would be no visible smoke. Air pollution is a serious health and welfare issue, and it is a cooling rather than a warming agent. Since air pollution is not colorless, it blocks the sun, reducing the amount of energy that reaches the surface, a cooling event. Carbon dioxide and other greenhouse gases (like Methane and water vapor) are colorless so they allow more energy to reach the surface. They then trap some of that energy as it is reflected back to space, a warming event. If we didn’t have greenhouse gases, we would all freeze to death. Air pollution from Chinese coal fired power plants make the air in Shanghai filthy. Sure there’s some carbon dioxide involved….but the serious health issue is the cancer causing toxins in the exhaust that are polutants. If the power had been generated using natural gas there would have been no toxins and 50% less carbon. There is technology available to remove toxins from coal exhaust, but too many plants in China don’t even try. 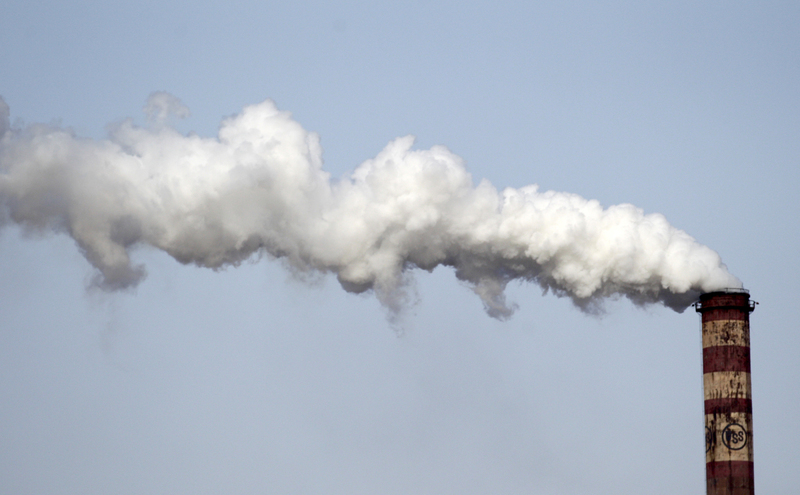 When I see a smokestack photo in a carbon dioxide article, I become a bit perturbed. Why has this photo has been included? Al Gore did the exact same thing for his cover art used to sell the DVD of An Inconvenient Truth. Mr. Gore loves to equate air pollution to carbon dioxide, it’s a factually incorrect recurring theme in the film. Carbon Dioxide probably does contribute to the warming of our planet, but it is not a pollutant. Pollution is defined as the contamination of air, water, or soil by substances that are harmful to living organisms. Carbon dioxide is not harmful to living organisms. Increased carbon dioxide probably makes the world a bit warmer than it otherwise would be….but warm is not necessarily bad. Today the world is a bit colder than it was 8000 years ago. Both the medieval warming period and the little ice age represent extremes in the last 1000 years that are not man caused. Why are we supposed to be worrying about the last 60 years of this chart? For carbon dioxide to be considered a pollutant it must be harmful to living organisms. Carbon dioxide — harmful — I don’t thinks so. Carbon dioxide and water are both necessary for life on earth and both are greenhouse gases. Greenhouse gases keep the planet from being very cold at night. Any argument for carbon dioxide as a pollutant must do two things. It must more fully explain why water vapor, a much more important greenhouse gas, is not a pollutant too. It must learn how to model climate much better. Today, climate models start less than 200 years ago and go hundreds of years into the future (wild extrapolation)…that’s way too short a period given the natural climate variation of the last 1000 years. Generally throughout history, warm has been good, cold has been bad. Today the earth is a bit colder than it was 8000 years ago, Why is that too warm? Was the world too warm 130,000 years ago when it was much warmer than it is today? The argument for calling carbon dioxide a pollutant must assume it is possible to have too much of a good thing. But how much is too much? Aaaahhh. That’s the big question. I just finished reading an editorial in our local paper written by New York Times columnist David Brooks. Green tech has gone grey with bad investments and resurgent oil and gas supplies is an interesting article chock full of tidbits about the politics of climate change. It’s worth a read. I knew Al Gore got rich touting green energy, but $100 million dollars rich, wow! Companies Al Gore has been associated with have garnered $2.5 billion dollars in federal subsidies, more wow. I knew Mr. Gore did well financially, but I really had no idea how well. The article recognizes the polarizing impact Al Gore has had on the debate, but the opinion piece gives him too much credit. Sure Al makes lots and lots of mistakes that give his opponents cover, but he has not acted alone. He has had help, and lot’s of it…..from the global warming is bad and it’s mans fault science community. Al Gore did turn me into a skeptic, but not because he is polarizing politically, but because he is a bad spokesman scientifically. Before An Inconvenient Truth, I was a casual believer. As I watched the film I became more skeptical. The film was cute, clever, emotional and entertaining…..and a mess scientifically. 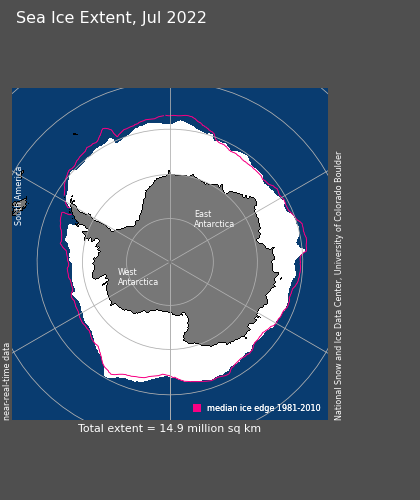 I checked out the IPCC reports, the Union of Concerned Scientists, and James Hansen. I watched videos critical of climate science and read article after article on the internet. The more I read the clearer it became….this is an extremely complex scientific problem with many many interdependent variables and lots of unknowns. My opinion became what it is today…..the science does not support any position at this time. SWAG and WAG are everywhere. The IPCC basically takes 150 years of weather….and uses that data to predict climate centuries into the future. I’m sorry, wild extrapolation about the weather is not an exact science. Sure it’s warmer and man may play a part….but it’s impossible to accurately predict what that part could or should be until we know a lot more about the sun, clouds, aerosols, soot, climate cycles and the oceans. Sure Al Gore got me hooked with his film…but the bad science kept me going. If Mr. Gore had simply done a bad job of presenting the science…I would still be a believer. I am a skeptic today because of the bad science….not because Al Gore is a bad spokesman. In the beginning….say 1985…. there was global warming and it was bad. Global warming has become a shortcut term for a warmer Earth; an Earth headed for disaster in the near future because of fossil fuels being burned by man. 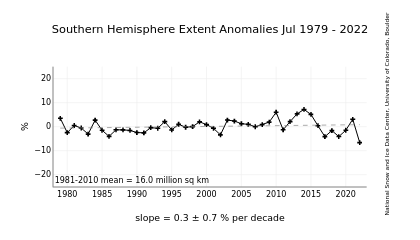 In 1998 the warming of the Earth slowed a bit….and we all started worrying about Climate Change, and a second buzz word was created. Whenever I see an article about the impacts of our changing climate I react and react in an odd way. I assume the article is about the ills of man caused climate change. No mention of carbon is necessary. The link is so firmly established that it is assumed. We all must give credit where credit is due. Al Gore, James Hansen and the IPCC have won the PR battle. We all are using their language and their interpretations of that language. Why must climate change be man caused and bad? Why is natural climate change good and man caused climate change bad? The world is warming for a whole bunch of reasons, some are man caused, some are not. Some changes are good and some are bad. So far at least, most of the impacts have been good. If the Earth was a degree C colder,as it was in 1800, we would have difficulty feeding our population. We all assume the terms Global Warming and Climate Change mean man caused warming that is having a negative impact on society… before we start to read any article with Climate Change or Global Warming in the title.